A light, cheap and very eco-efficient solution that makes a four-cylinder engine feel like a six at the same time as fuel consumption drops with up to 20 percent. This autumn, Volvo Car Corporation will be one of the world's first car makers to test the potential of flywheel technology on public roads. The company has received a grant of 6.57 million Swedish kronor from the Swedish Energy Agency for developing next-generation technology for kinetic recovery of braking energy in a joint project together with Volvo Powertrain and SKF. 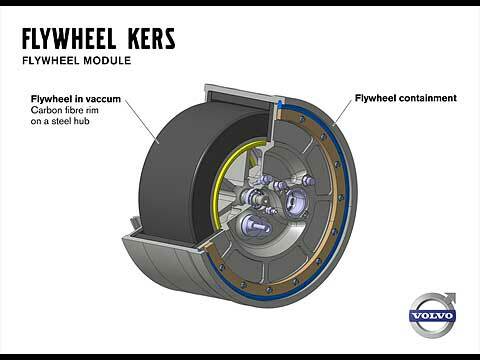 The new system, known as Flywheel KERS (Kinetic Energy Recovery System), is fitted to the rear axle. 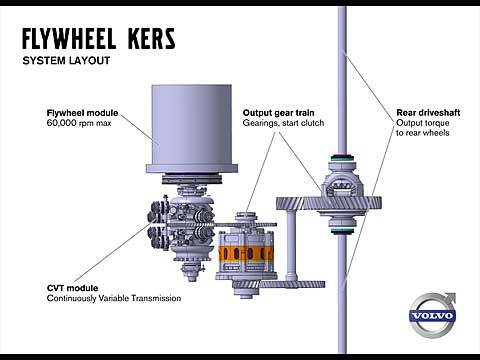 During retardation, the braking energy causes the flywheel to spin at up to 60,000 revs per minute. When the car starts moving off again, the flywheel's rotation is transferred to the rear wheels via a specially designed transmission. 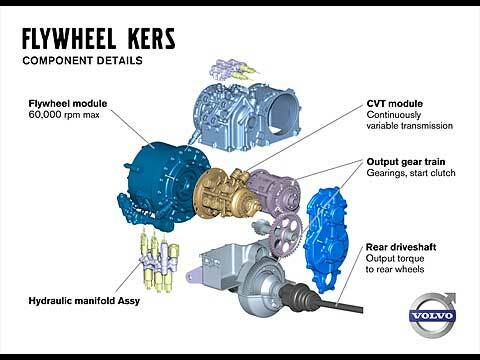 If the energy in the flywheel is combined with the combustion engine's full capacity, it will give the car an extra boost of 80 horsepower, and thanks to the swift torque build-up this translates into rapid acceleration, cutting 0 to 100 km/h figures significantly. 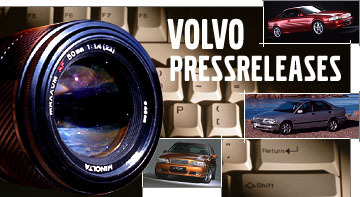 Flywheel propulsion assistance was tested in a Volvo 240 already back in the 1980s, and flywheels made of steel have been evaluated by various manufacturers in recent times. However, since a unit made of steel is large and heavy and has rather limited rotational capacity, this is not a viable alternative. The flywheel that Volvo Car Corporation will use in its test car is made of carbon fibre. It weighs about six kilograms and has a diameter of 20 centimetres. The carbon fibre wheel spins in a vacuum to minimise frictional losses. "We are not the first manufacturer to test flywheel technology. But nobody else has applied it to the rear axle of a car fitted with a combustion engine driving the front wheels. If the tests and technical development go as planned, we expect cars with flywheel technology to reach the showrooms within a few years," says Derek Crabb. He concludes: "The flywheel technology is relatively cheap. It can be used in a much larger volume of our cars than top-of-the-line technology such as the plug-in hybrid. This means that it has potential to play a major role in our CO2-cutting DRIVe Towards Zero strategy."